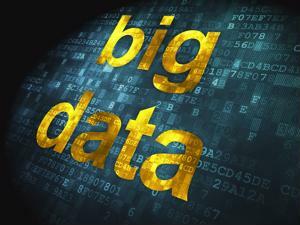 Home Procurement News Why do businesses need big data? Running a company is all about making decisions. You'll have to select the best materials, the top product design, qualified employees, competitive prices and the fastest transportation methods. That doesn't include the day-to-day choices that will fall on your shoulders. To make the right decisions, you need to consider all the facts. You'll only find that type of insight in big data. When you have various departments and locations making both different and crucial contributions to the supply chain, you may find it difficult to keep track of everything. You'll have information coming at you from all sides. However, business intelligence and big data can help. With sensors, cameras and other data-collecting devices, your computer will receive countless data from around the company. The only difference from before is that you won't have to analyze it. The proper business intelligence software will provide any insights on trends and patterns in the supply chain, Business.com explained. With this information, you'll be able to monitor productivity in real time. If one department isn't turning out the numbers it should be, you'll know immediately, which allows you to fix any bottlenecks right away. According to IndustryWeek contributor Mark Pearson, big data can improve workflow efficiency by 10 percent. Business intelligence can also help with benchmarking and provide you with a spend analysis to improve your company's workflow. If you want to reach your goals, you need to know what's happening both internally and externally. Your business would be unsuccessful if it wasn't for your customers. To reward them, create goodwill and boost sales, you'll need to work on improving any outward-facing experiences. This may mean reducing costs, offering more options or simplifying the ordering process. Business intelligence and big data can help you decide. By collecting information from emails, reviews and order forms, the software may tell you what's working and what isn't when it comes to satisfying your clientele, Business.com explained. According to Pearson, 61 percent of companies that use an enterprise-wide big data strategy have seen shorter order-to-delivery times and lower costs, according to IndustryWeek. Your customers will appreciate both. You'll know what items are selling and which ones aren't, which means you'll be able to determine when you should offer deals on certain products or when to order more merchandise to ensure you have enough on the shelves to meet demand. With this information on hand, you may be able to provide your consumers with anything they need. Big data has a plethora of uses. Businesses that implement software to help with its analysis will gain countless insights and have a more competitive edge.